David Haffer is a young art student that for the majority of 2013, I was mentoring to become a designer for Allamar. David, was attending an Art school just outside of Denver and was asked to create a logo design for a local florist. David and I worked on the project together for a few weeks, combining ideas and working out how to properly implement them. 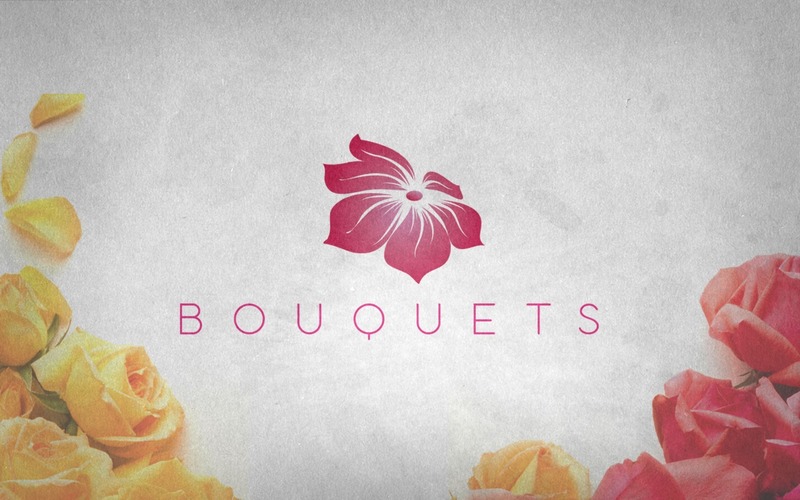 There were a total of six renditions of the Bouquets logo, one of the designs that I did, strictly as inspiration for David was the one you see here. This logo, despite not being presented to a client, is one of the most important logos I've designed. It was the first time that David and I had worked on anything together, and for that sentimental reason, I'm showcasing the work.